“Everything Is Falling Apart And That’s Alright” is a 120-page limited edition book from Bicycle Nightmares, featuring exclusive and never seen before photographs by Héctor Saura that document the freestyle mountain bike culture and lifestyle. This book took more than a year to create and has been crafted with a lot of care, passion, and attention to detail. It has been independently printed in Barcelona, Spain on Splendorgel extra white matte paper, using soft matte black anti-scratch covers with ultra-violet cured coatings. 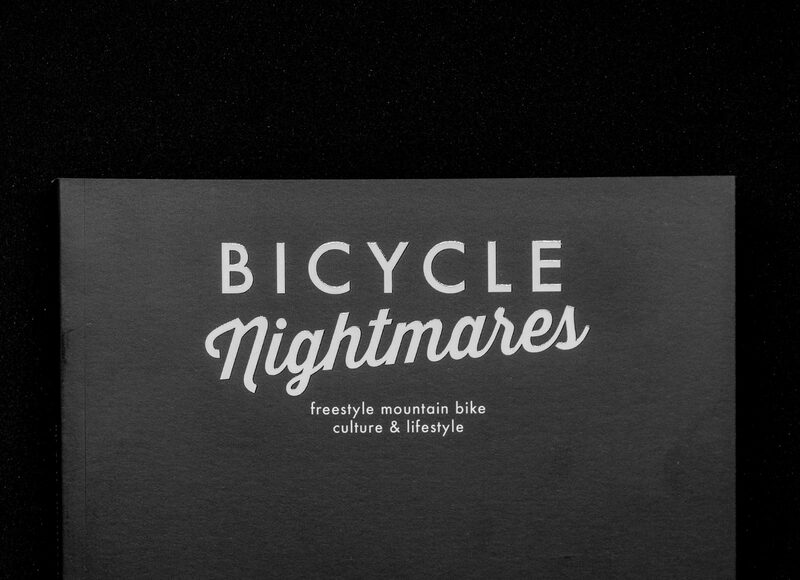 It is a must have for any mountain biker, photographer, creative individual or Bicycle Nightmares fan who appreciates quality content and loves print. “The book is dedicated to my parents, my brothers, my girl, my family, and friends – the ones who have always helped and supported me. To everyone out there who refused to follow the norm, tried to make something different, chose to make it happen for themselves and, ultimately, found happiness and freedom. – Shot on location in Belgium, Canada, France, Spain, and the United States.